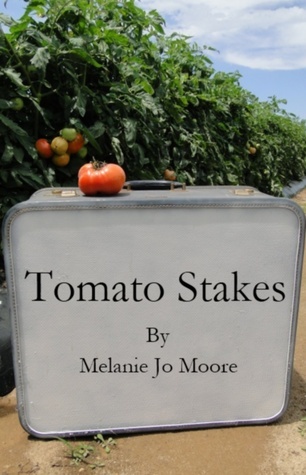 Tomato Stakes is a sequel to Letters to Young Chong. Melanie has many more crazy stories to share with her readers in this one. If you read Letters to Young Chong, you know of her interesting obsession with a Mexican man named Julio. Much of this books details the ups and downs of their times together. Just like everything else in her life, it just can’t go as she planned and it cant be easy. There is a lot of alcohol, a lot of karaoke, and a lot of tequila insanity. Some people have lives that are meant for memoirs, and Melanie’s is one of them. I often found myself laughing out loud while reading part two of her memoir series. She has a very entertaining and engaging writing style that makes it easy for the reader to not put the book down. I often said “One more chapter. . ., “ and it would turn in to two or three chapters before I could put it down. Read Letters to Young Chong first. If you enjoy it as much as I did, you have to read this one too. It is really funny even though you may feel like yelling at her decisions from time to time. I can't wait to see where she takes us next. 4.5/5 Stars. Sometimes you just need to laugh at someone else. This is a perfect book to help you do that. Memorable quote: "Remember our discussion on diagnosing insanity. A key component I forgot to mention was that the insane will make sudden and rash decisions, even when they made a perfectly rational one SECONDS ago."